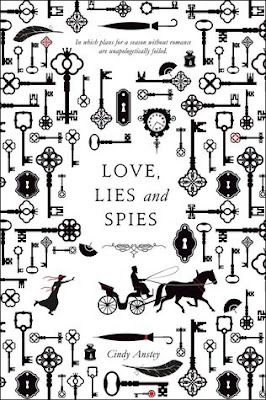 Love, Lies and Spies is such an adorable historical fiction. With a Sherlock Esque plot and a couple who has Pride and Prejudice witty banter. It was such an enjoyable read. I could gush forever about my love of Juliana and Spencer for hours. Every second they were on the page together it made my heart happy. They are such a great and adorable couple. Both are involved in the “season” yet neither has any intentions of finding someone to marry. The way they cross paths accidentally originally and then start to cross paths conveniently is just adorable. Juliana has a tendency to get herself into trouble. She is also extremely intelligent and strong willed. I loved how she knew how to act her place but can find ways to get around formalities to get what she wants. Spencer is his own brand of swoony. He is a spy for the war office and is very focused on his work. He also isn’t sucked into scheming mommies, trying to pair him off. I loved that besides his work he only cares about Juliana. The other ladies never hold any of his interest. The plot of the book is so much fun. With the spy work and trying to find who is the traitor among them. I liked how the story ends up coming out in the end. There are also many wonderful side characters. From Julianna's cousin and Uncle to Spencer’s best friend. They had so many different layers to the plot. If you want a fun historical fiction. This is definitely on my favorites list. I can’t gush enough about this book.